Control your Philips Hue white lights from anywhere in the world. Or automate your lights to make it seem like you’re home when you’re not with the Philips Hue White starter kit. The user-friendly system lets you turn lights on and off or dim them with an intuitive app for your smartphone or tablet. 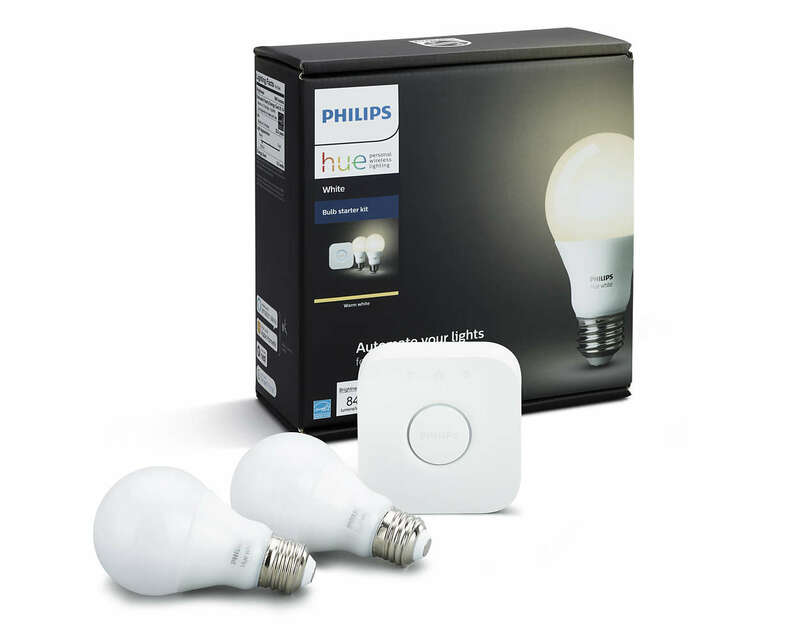 This Philips Hue White starter kit has the capacity for up to 50 lights and 10 accessories to connect your entire home.